Middlesex have given Stephen Eskinazi a one-year contract after he impressed for their second eleven. The 20-year-old wicketkeeper-batsman has spent the last two years at Lord's on a cricket scholarship. He has been the top run scorer in Middlesex's second team in both seasons and has also completed almost 100 catches and stumpings. "He is a very dedicated and motivated young man," managing director of cricket Angus Fraser said. 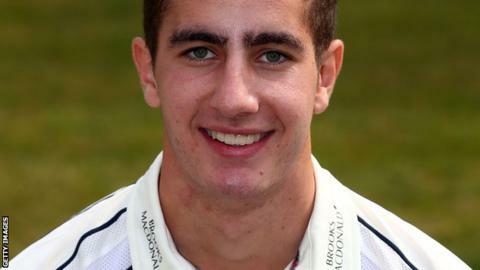 South Africa-born Eskinazi joined Middlesex following a spell with Western Australia Under-17s. "It has been very satisfying to see Stephen continue to develop and make progress as a cricketer," Fraser added. "If he continues to improve it will not be long before he is putting first team players under pressure for their positions."